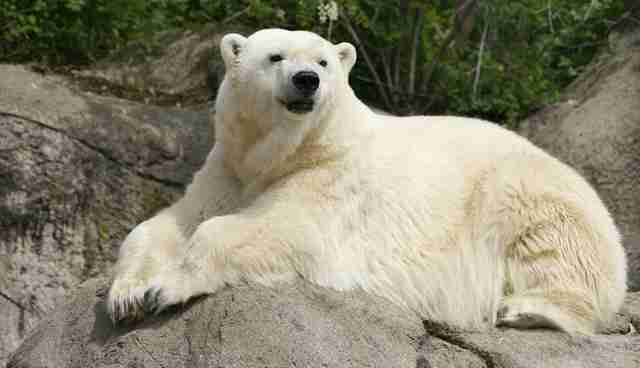 Tundra, a 29-year-old polar bear, has been living alone at the Indianapolis Zoo since 1988. But her life is about to change. "The Indianapolis Zoo has made a very difficult decision to permanently close its polar bear exhibit," the zoo announced on Monday. The environment where Tundra was living just wasn't good enough for the aging bear, the zoo decided. Tundra, who was born at the San Diego Zoo in 1986, can't be released into the wild. "As a 29-year-old polar bear who spent her entire life in human care, she is not a candidate for reintroduction in the wild," Carla Knapp, a representative for the Indianapolis Zoo, told The Dodo. So people figured out the next best thing. Luckily, not too far away, is what is probably the best place for Tundra in the world: the Detroit Zoo, a leader in conservation and animal welfare that provides sanctuary for animals in need of rescue. "The zoo's veterinary staff carefully reviewed all of the options and agree that the Detroit Zoo is the perfect facility for Tundra's needs as a senior bear," the Indianapolis Zoo said in the announcement. "Considered one of the leading polar bear facilities in the world, the Detroit Zoo offers large spaces and pools with easy slopes for Tundra to enter and exit the water, especially as she gets older." Polar bears can be difficult to keep in captivity because they're used to having the freedom to travel long distances to hunt for food. 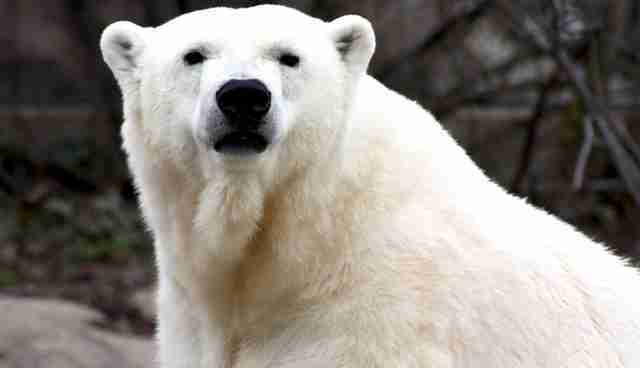 Captive polar bears can exhibit stereotypic behaviors such as head bobbing or even self-mutilation. "For polar bears, you want the most natural environment you can create," Ron Kagan, executive director of the Detroit Zoo, told The Dodo last year. 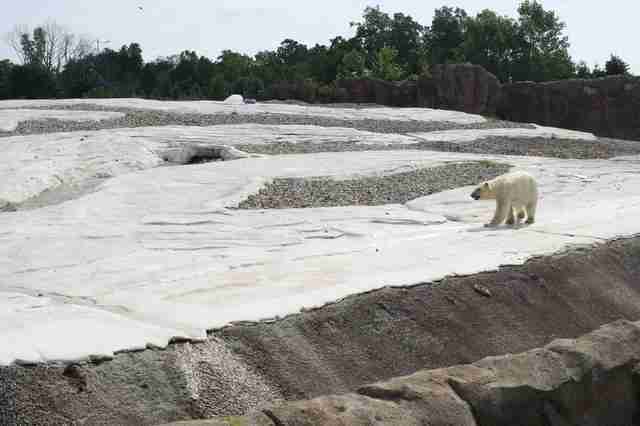 The Detroit Zoo's four-acre Arctic Ring of Life, the largest polar bear exhibit in the world, is an environment that seeks to give polar bears what they need most. 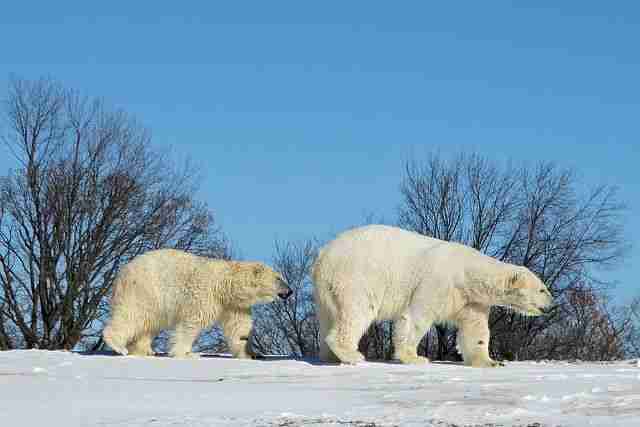 Tundra will join Talini, an 11-year-old female, and Nuka, an 11-year-old male, at the Detroit Zoo. "Talini was born at the Detroit Zoo in 2004 to Bärle, who was rescued from a Puerto Rican circus and given sanctuary at the Detroit Zoo until her death in 2012," the Detroit Zoo said in a statement. "Nuka arrived at the Detroit Zoo in 2011 as a potential mate for Talini." More than most other necessities, polar bears need to feel that they have a sense of choice, and the Detroit Zoo has created an environment based on that knowledge. "We're always trying to find out how to improve the zoo for animal welfare," Kagan said recently. "If animals aren't thriving in the zoo, they need to be able to go live somewhere they can." People are relieved that Tundra will finally get a chance to thrive. "When we saw her last month, she did not seem happy," one commenter wrote on the Indianapolis Zoo's Facebook page, in response to the announcement. "Thank you for putting her comfort and quality of life over the zoo's desire to have the attraction." The Detroit Zoo expects Tundra to arrive on June 25.